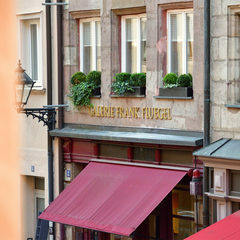 GALERIE FRANK FLUEGEL has been a major force in the international art community since 1999. 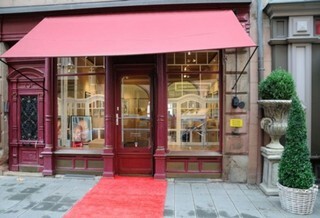 Located in the Heart of Nuremberg / Germany the gallery is focused on POP ART, Contemporary Art and Photography. Changing Solo Shows at the Gallery Space in Nuremberg expose different positions of our gallery programme like Andy Warhol, Roy Lichtenstein, Julian Opie, Alex Katz, Mel Ramos or young emerging artists. After a few years GALERIE FRANK FLUEGEL quickly became an important POP ART gallery in Germany, dealing with galleries, collectors and museums worldwide. Participating at international Art Fairs completes our gallery task. We are also interested in buying artworks of the above artists.